What is special about the May 2019 Visa Bulletin? May 2019 is more than halfway through U.S. Immigration agencies year (the U.S. Government Fiscal Year did not start in January 2019, but in October 2018). So at this point, we get a good sense of where things stand. Don’t see your Priority Date? Want to know when your Interview will take place? Get more details with Immigration Planner. Have you received your Welcome or Interview letter? 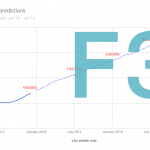 Get your detailed predictions and a personalized timeline based on USCIS processing times and community feedback. Updated each month to prevent mistakes and avoid delays. What is my 'Priority Date'? Your Priority Date is the date when Form I-130 filed by the sponsor is accepted by USCIS. Form I-130 is accepted by USCIS when all required fields are filled out, the proper fee is enclosed, and the form is signed. As a result, ‘accepted’, is a few days after ‘received’ and a few months and years before ‘approved’. The Priority Date is displayed on the receipt sent by USCIS (Form I-797C). Applicants who are eligible under a ‘preference’ classification (F1, F2A, F2B, F3, F4) have a Priority Date, because they are subject to Annual Numerical Limits: the number of Green Cards that can be granted annually under their ‘preference’ is capped. Note: If you have a Receipt Date, and not a Priority Date, then you are an ‘immediate relative’ and the Visa Bulletin does not apply to you. Which 'Final Action Date' applies to me? The ‘Final Action Date’ (F.A.D.) 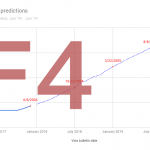 that applies to you depends on your ‘country of chargeability’ (All Countries, Mexico, the Philippines, and India for F4) and your ‘immigration category’ (F1, F2A, F2B, F3, and F4). Your ‘country of chargeability’ is generally the country where you were born. If you were not born in Mexico, the Philppines or India, then your country of chargeability is ‘All Countries’. You can read the FAQ ‘What is your country of chargeability?’ if you are in doubt. Your ‘immigration category’ depends on the sponsor’s legal status (U.S. Citizen or Green Card Holder), the family relationship between applicant and sponsor (spouse, child, or sibling), the age of the applicant (20 years or younger, 21 years or older), and the marital status of the applicant (married, or not married). What is my 'Country of Chargeability'? Your country of chargeability is where you were born, not where you currently reside. For example, applicants who were born in the Philippines but who currently hold a French passport will be ‘charged’ to the Philippines, not France. If a person is born in country where neither of his or her parents had citizenship or permanent residence, the person’s country of chargeability can be the country of either of his parents’ birth. What is my 'Immigration Category'? They turn 21 and are not CSPA protected. 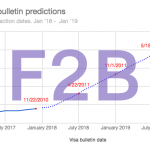 Which publication of the Visa Bulletin should be considered 'current'? The Visa Bulletin that is in effect for a calendar month is the one that is ‘current’. In other words, during the calendar month of October, the dates of the October Visa Bulletin apply. The dates of the November Visa Bulletin do not apply in October, even if the November Visa Bulletin is released in early October. Can I use the 'Filing Date' of the Visa Bulletin? If your immigration category is F1, F2A, F2B, F3, F4 and if you live in the United States and you are going through Adjustment of Status, then you can use the Filing Date to determine whether you are allowed to file Form I-485. Most applicants going through Adjustment of Status are Immediate Relatives, not ‘preference’ applicants who have to maintain valid U.S. status for extended periods of time. Am I 'current' if my 'Priority Date' is the same as the Visa Bulletin date? Unfortunately no. The dates listed in the Visa Bulletin are the first date for which a Green Card number is not available. For example, if the Final Action Date is Jan 1st 2016, applicants with a Priority Date of Jan 1st 2016 are not ‘current’ when compared to the Final Action Date. Is there a link between the Filing Date and the Welcome Letter? The Welcome Letter is sent by the National Visa Center (NVC) to family applicants under a ‘preference’ classification (F1, F2A, F2B, F3, F4) going through Consular Processing. Welcome Letters contain information that enable applicants who have an approved I-130 to file their Green Card Application. So Filing Dates and Welcome Letters have the same purpose: determining when applicants can file their Green Card application whether through Form I-485 (adjustment of status) or Form DS-260 (Consular Processing). In theory, they should be the same. Filing Dates should simply ‘expose’ when applicants are within 12 months of their Final Action Dates becoming current. 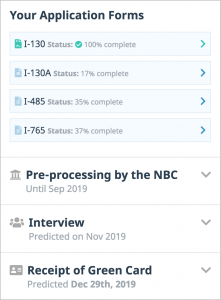 That way the NVC could make sure that Green Card applications are ‘interview-ready’ and schedule the Interview as soon as the Final Action Date becomes current. Unfortunately, the reality is that generally Filing Dates do not become current within 12 months, and that Welcome Letters are generally sent when the Final Action Date is current, or about to become current. 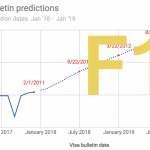 That is why Immigration Planner releases Predictions about Final Action Dates, and not Filing Dates. Should I ‘opt-out’ of F1 and stay in F2b? It depends. In order to see what our latest conclusions are, please read our post dedicated to this issue. When will the Interview be scheduled? The applicant’s Green Card Case is ‘interview-ready’ (also called ‘case complete’ or ‘documentarily qualified’, meaning that all the proper Forms, Evidence, and Fees necessary to make a decision on the Green Card Application have been received by U.S. Immigration Agencies). Being ‘current’ means that the applicant’s Priority Date (which is when Form I-130 was filed) is ‘earlier’ than the relevant Final Action Date. If the relevant Final Action Date is January 1st 2018, then applicants with a Priority Date ‘earlier’ (that is up to December 31st 2016) are said to be current. The relevant Final Action Date refers to the Final Action Date that applies to applicants based on their preference classification (F1, F2A, F2B, F3, F4) and countries of birth (Mexico, All Countries, …). The month when the applicant’s Priority Date is current, U.S. Immigration agencies look for an available Interview slot in the month after next (if the applicant’s priority date becomes current in January, then they will start looking for slots in March). How long applicants wait depend on how busy the U.S. Consulate or USCIS Field office is. What should I worry about while I wait? Maintaining your eligibility to your Green Card category. Things might for instance change if you get married! Be prepared to file the rest of the Green Card application as soon as U.S. immigration agencies allow it. What does that mean to be 'interview-ready'? ‘Documentarily qualified’, ‘Case complete’, ‘pre-processing’, ‘interview-ready’ all mean that U.S. immigration agencies have received all the Forms, Evidence, and Fees necessary to make a decision on the Green Card application. This is an administrative assessment that all the Forms and Documents have been filed because when they are not, a Request for Evidence is issued. The decision about the Green Card application will be made by the Consular Officer (a Department of State employee) for Consular Processing, or the Adjudicating Officer (a USCIS employee) for Adjustment of Status. Avoid doing the forms on paper or blindly. Enter your information once and transfer across forms. Check against USCIS rules before you file. Save, Download and Print at your convenience. Know what to file when and at the right time. And all this this using just your mobile phone. 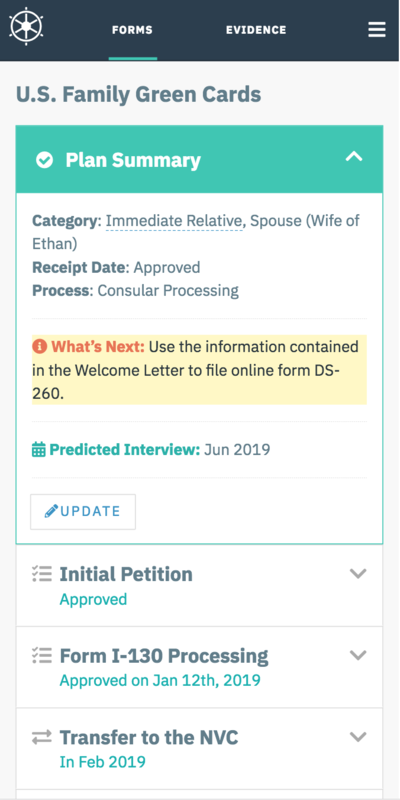 All the questions in the DS-260, an online form used by the National Visa Center (NVC) to gather information about applicants for family green cards. 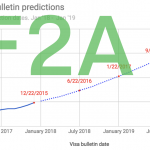 Analysis of the 'distance' in the Visa Bulletin for family Green Card applicants under F1 and F2B for Mexico, The Philippines, and All Countries.